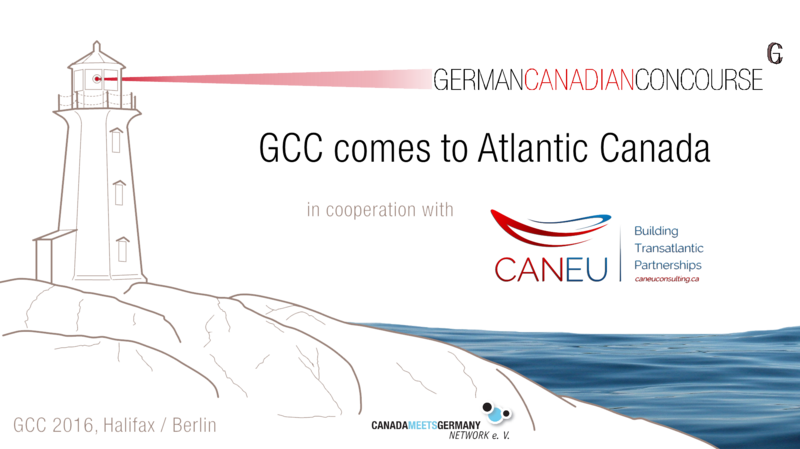 Upon an initiative of the German Canadian Concourse and organized in cooperation with Bremeninvest, Mr. Jason Tolland, Minister-Counsellor at the Embassy of Canada in Berlin, followed an invitation to visit the Hanseatic city of Bremen on May 8th together with a group of trade commissioners. 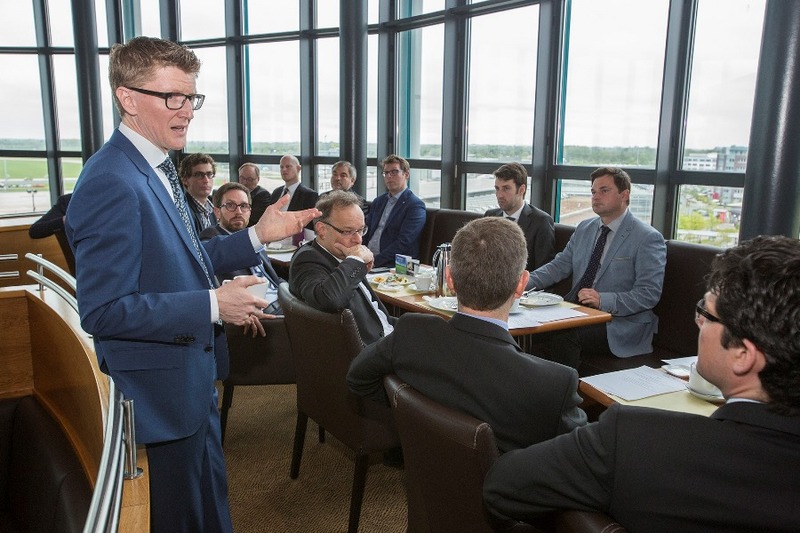 A good mix of some 15 Bremen-based leading corporates and start-up companies in the aerospace, defence and maritime security sector gathered for a business breakfast to exchange views with the Embassy delegation on CETA and its opportunities for Bremen's industry in Canada. 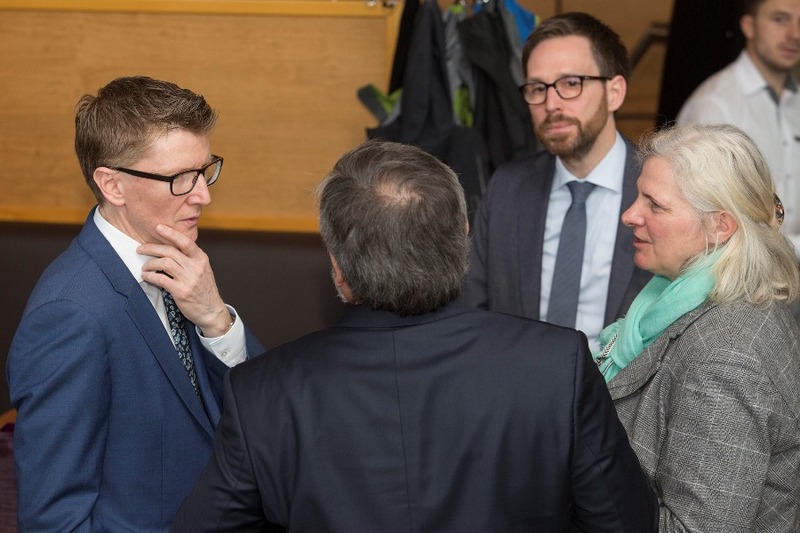 Jason Tolland explained the benefits of the Comprehensive Economic Trade Agreement in terms of reduction of trade tariffs and an increased free movement of workforces which is expected to significantly simplify establishing transatlantic subsidiaries. 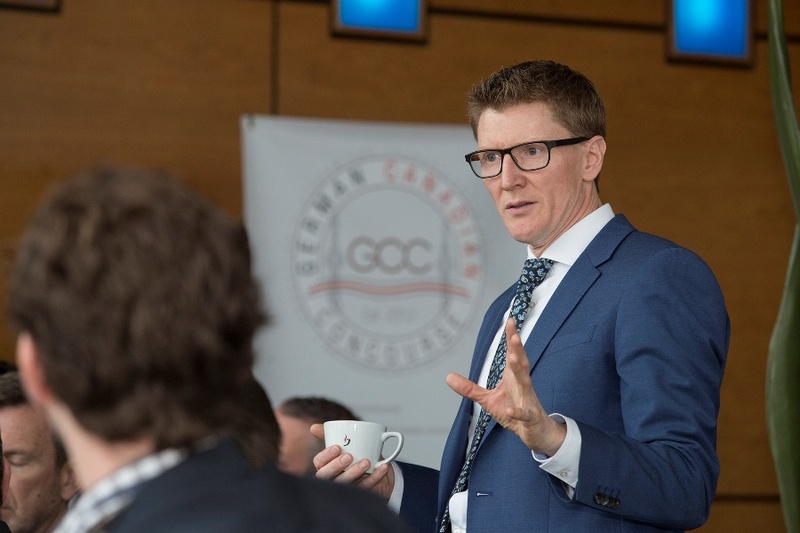 Following the discussion with the industry representatives over coffee, the guests from the Canadian Embassy had a tight schedule of four on-site company visits across the city of Bremen. 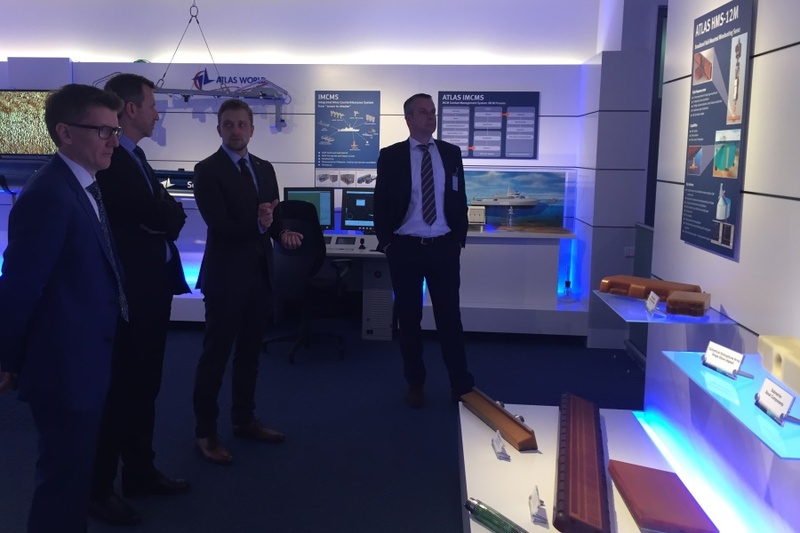 Starting at the Airbus' premises, the delegation was introduced to the product and service portfolio of the three branches Defence and Space, Launchers and Airborne Solutions. 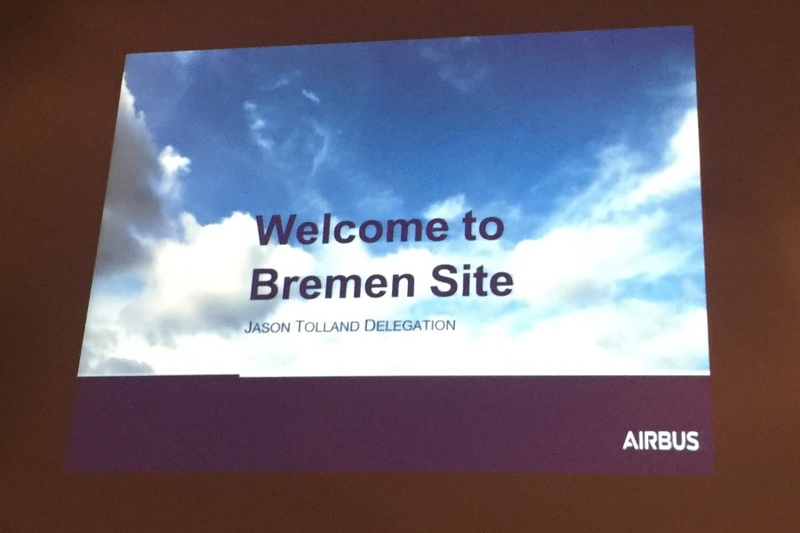 The tour gave insight into the production facilities of the European launcher "Ariane 5" and the service module for the American "Orion" crew vehicle. 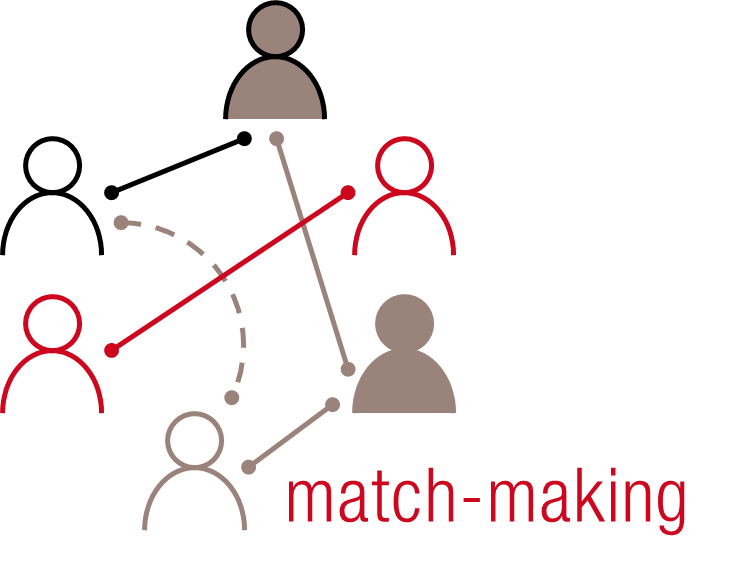 Rheinmetall Defence presented virtual reality simulations which are also used by the Canadian armed forces to train combat maneuvers. 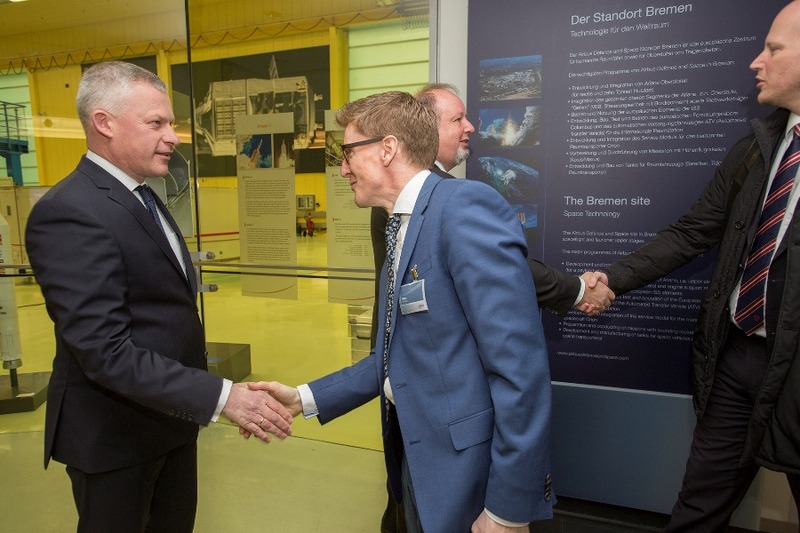 Rheinmetall's role as a supplier of electro-optical sensors for the "Canadian Surface Combatant", a part of the National Shipbuilding Procurement Strategy, was discussed. 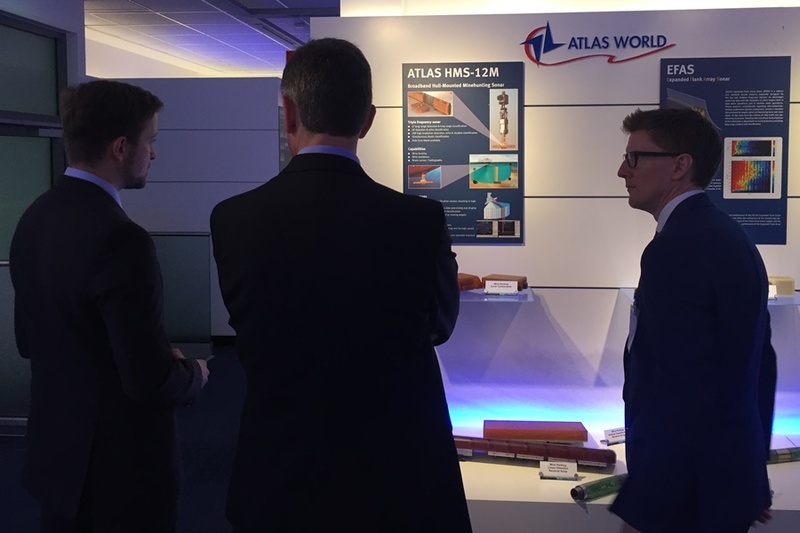 During a visit at Atlas Elektronik, the Canadian trade commissioners were introduced to "SeaSpider", an anti-torpedo naval defense system which will be developed in cooperation with Winnipeg-based Magellan Aerospace. The Canadian company will develop a rocket engine to serve as propulsion system for the SeaSpider. 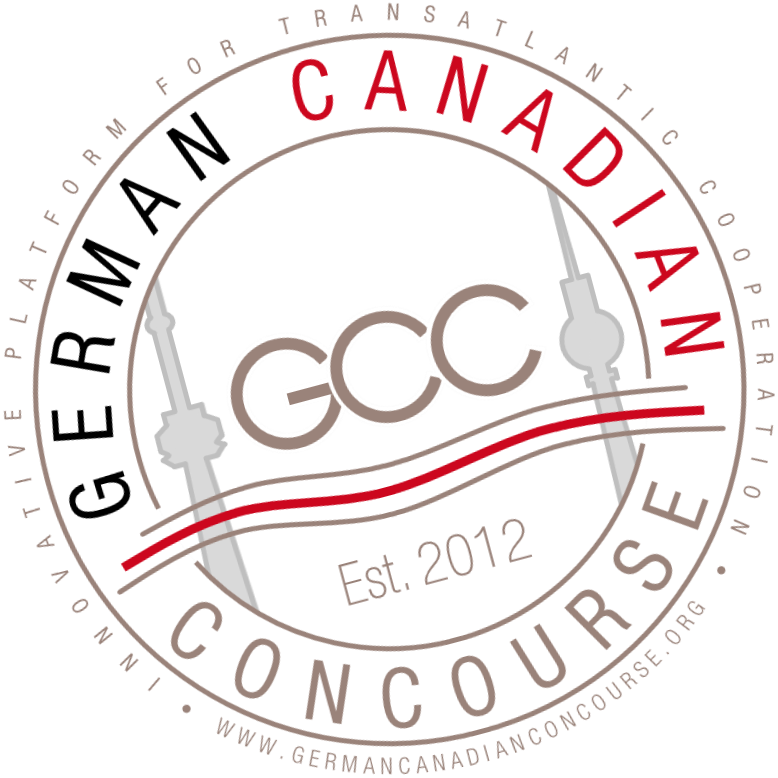 This German-Canadian technology venture awakened great interest among all participants. 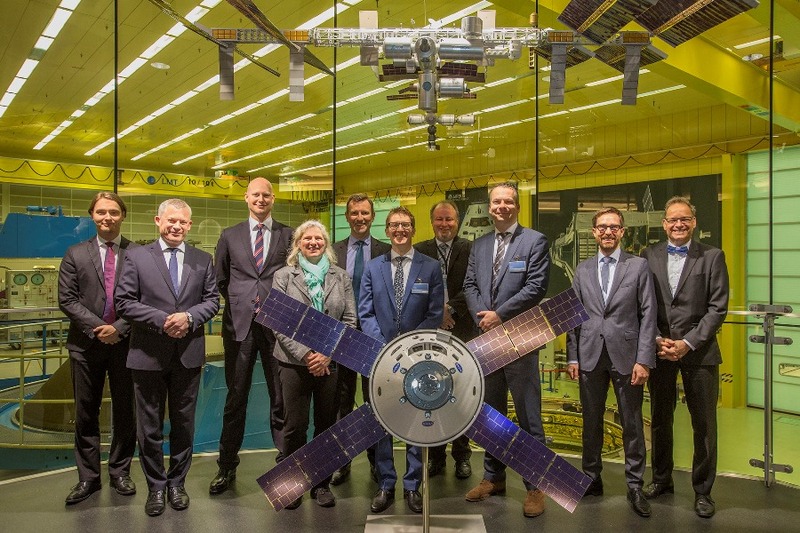 The excursion in Bremen was concluded with a visit at OHB SE, one of the three leading space companies in Europe. OHB presented their portfolio and the latest development in logistics tracking: the "visioboxx", a palm-sized device for sophisticated container tracing. 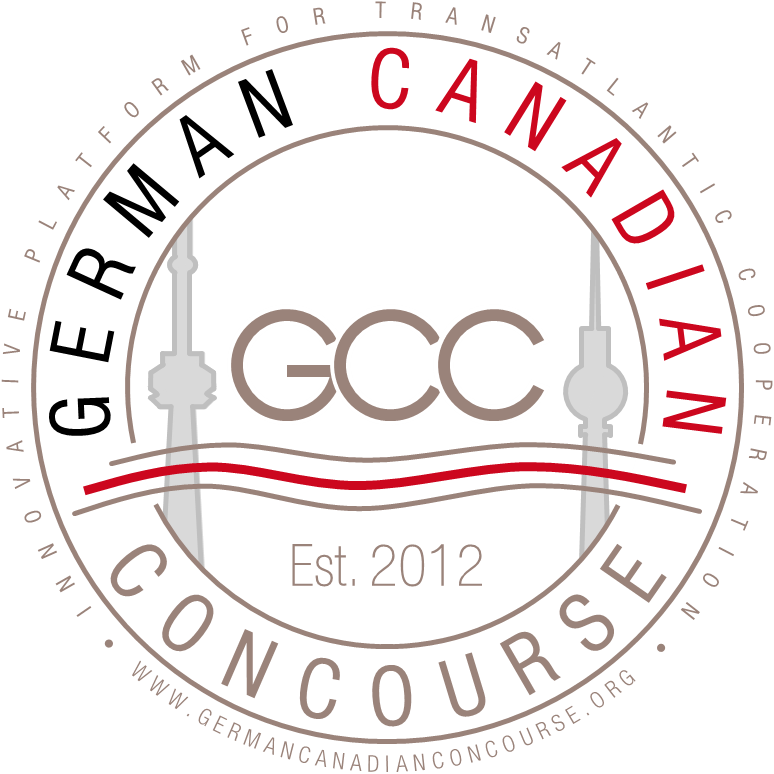 This may be a potential project for a German-Canadian collaboration.